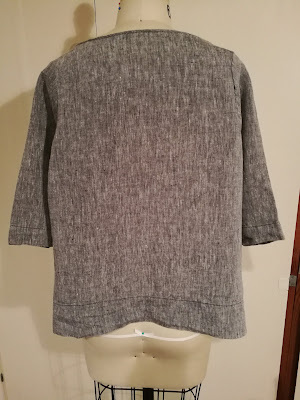 I finished sewing up this Fog Linen Work top a couple of weeks ago, but am only getting around to posting now since I had to redo a bunch of sewing failures that occurred during this project. 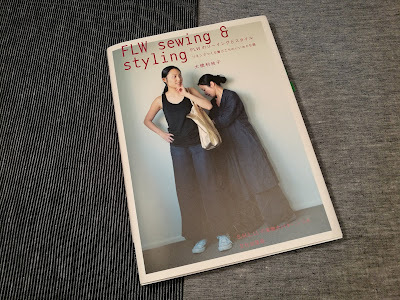 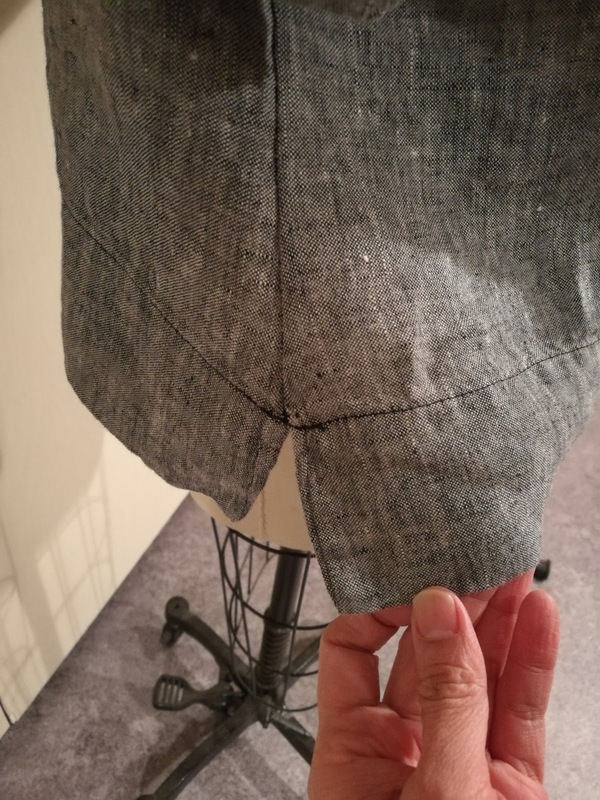 I used some nice black linen I got at one of the annual Bolt sales and started cutting out the Sonia top, which looked to be a straightforward and easy project to complete. 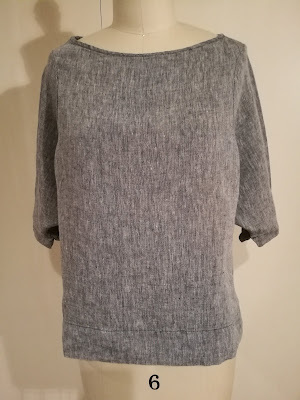 I finished the top on a weekend afternoon and threw it in the wash–something I usually do with all newly completely sewing projects. After taking it out of the dryer, both side seams were completely undone and frayed and parts of the sleeve seams were like that too. 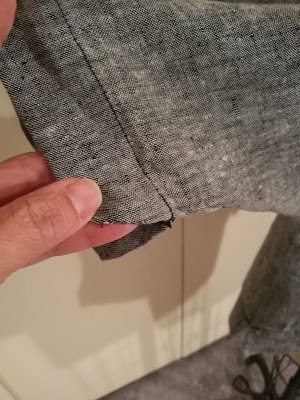 After more close examination of my sewing machines, I discovered that one of my serger needles was unthreaded and I had sewn the whole top that way! 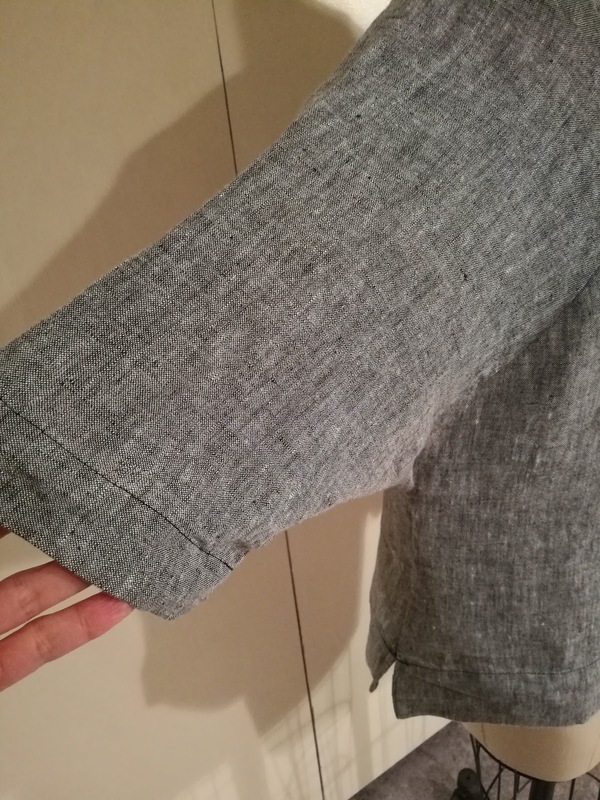 So, I went back over all the side seams and sleeve seams over again with the serger and both needles threaded. Prior to that, I had also redone the neckline facing because it was sitting weird when I tried it on. I was so sick of this top by the time I was done and re-done, that I didn't really like it much. 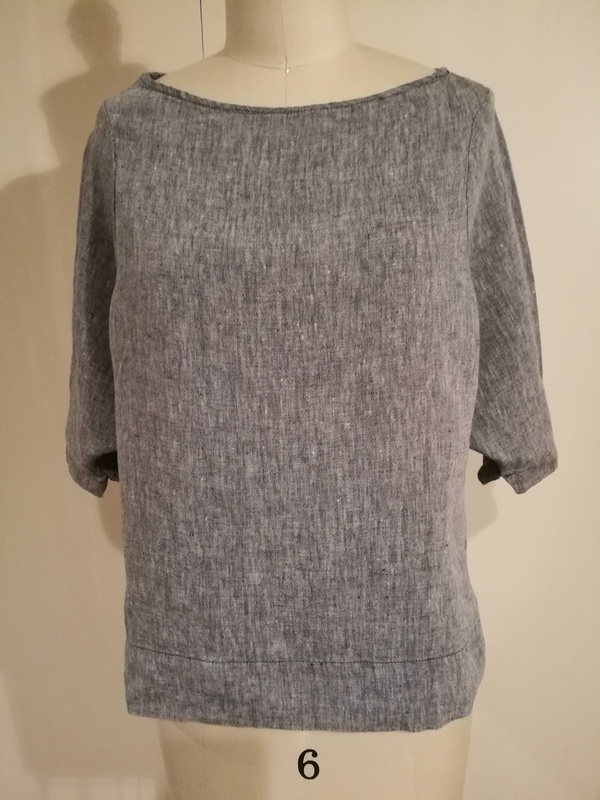 However, after a couple of weeks of setting it aside and making all the tweaks, I think it will be a good wardrobe basic for me. 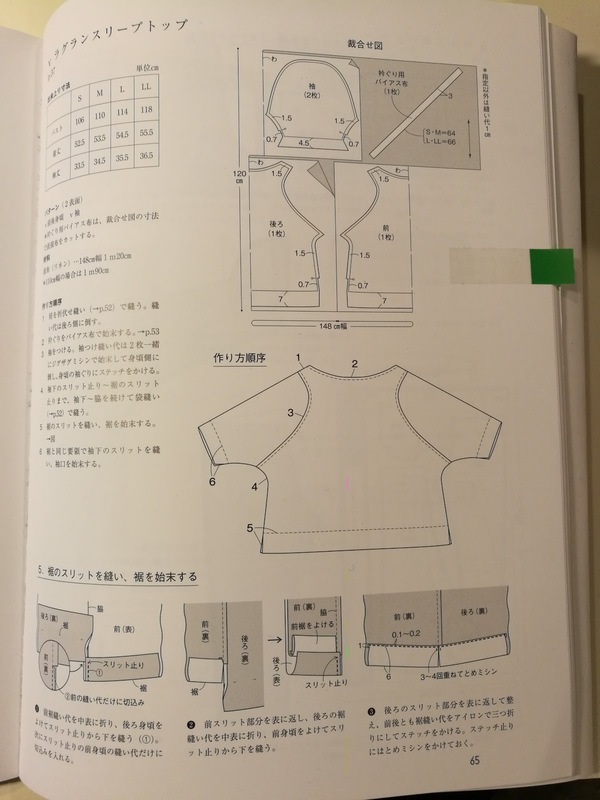 Sewing failures FTW!